The Champion Stakes is run over 1 mile 1 furlong and 212 yards and is open to horses aged three years and upwards. It is, and always has been, a Group 1 contest, at least since the introduction of the European Pattern System in 1971. The Champion Stakes was inaugurated, at Newmarket, in 1877 and was run, without interruption, at ‘Headquarters’ until 2010. The roll of honour reads like a ‘Who’s Who’ of middle-distance talent down the years and includes such luminaries as Petite Etoile, Sir Ivor, Brigadier Gerard, Pebbles and New Approach, to name but a handful. Tristan, who won the Champion Stakes three years running in 1882, 1883 and 1884, is the most successful horse in the history of the race. Although the first documented use of a photo finish was in 1881, photo finish technology was not used in British horse racing until 1947, so the fact that the judge called a dead-heat between Tristan and Thebais on the first occasion and another, between Tristan and Lucerne, on the last may not be quite as remarkable as it first appears. Nowadays, the Champion Stakes is run at Ascot, where it is the highlight of British Champions Day in October each year. The race is, in fact, the finale of the Middle Distance category of the British Champions Series, which was staged for the first time in 2011. At that time, the Champion Stakes was transferred to Ascot, with appropriate hoo-ha and a hike in prize money, from £350,000 to £1.3 million, which made it the most valuable race of its kind in Europe. In 2012, the Champion Stakes was won by Frankel, who, with a Timeform Annual Rating of 147, is the highest-rated horse in the history of the organisation, and was completing a perfect 14-race winning streak. 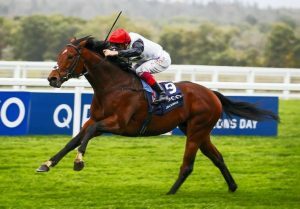 In 2014, his full brother, Noble Mission, upheld the family tradition by recording an emotional victory in the Champion Stakes for Lady Jane Cecil, while in 2017 and 2018 his son, Cracksman, did likewise, winning the Champion Stakes impressively by 7 lengths and 6 lengths, respectively. How Does the Cheltenham Gold Cup Compare To Other Leading Races Around The World?